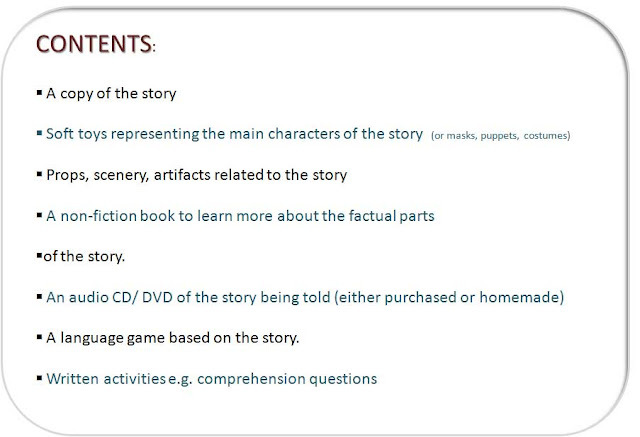 How can you make up the contents? 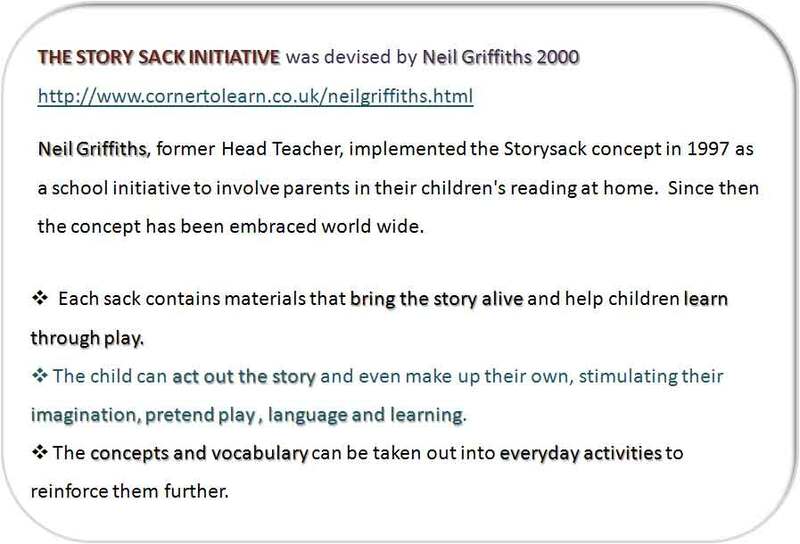 What does each story sack need? 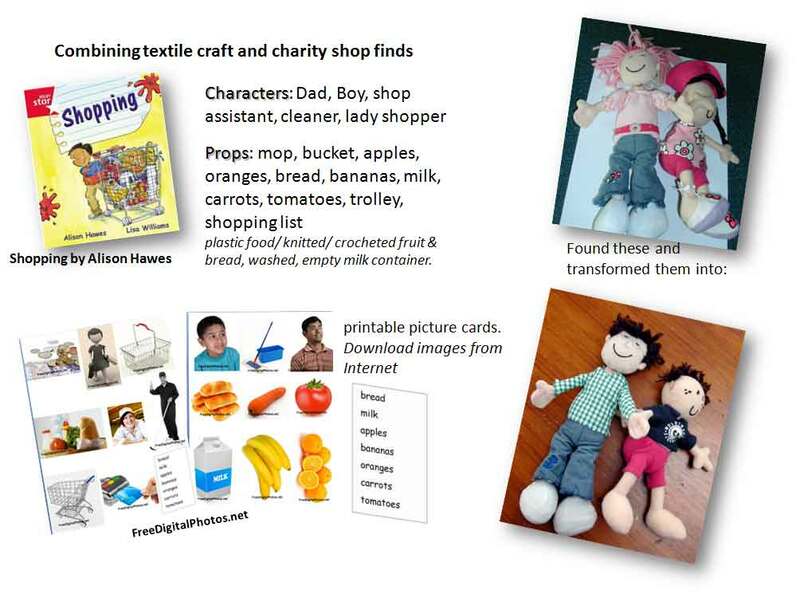 Something for preschoolers. 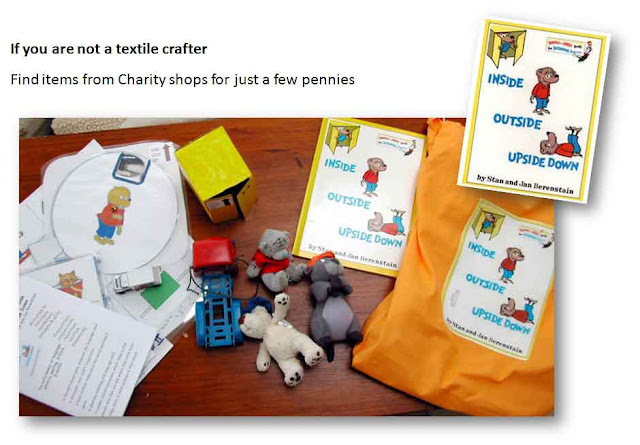 Does this sort of thing inspire you? 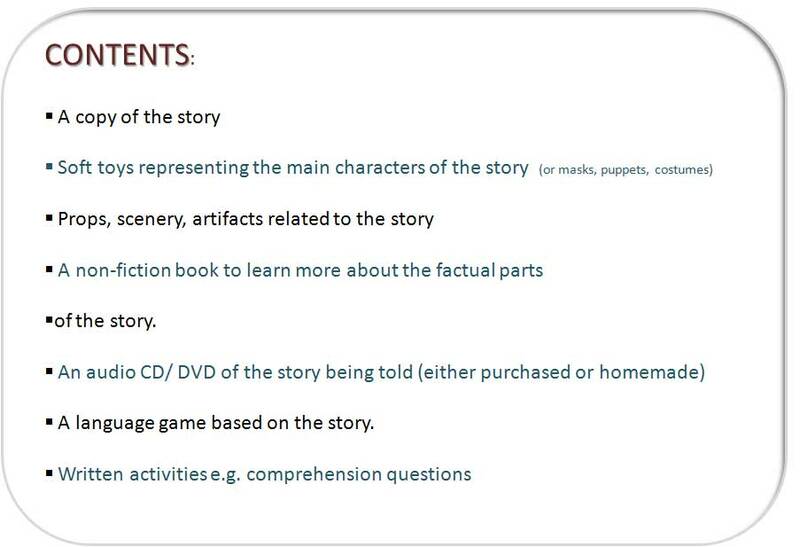 When National Literacy Project statistics showed that only 15 % of parents were reading to / sharing books with their children, it was felt something had to be done. 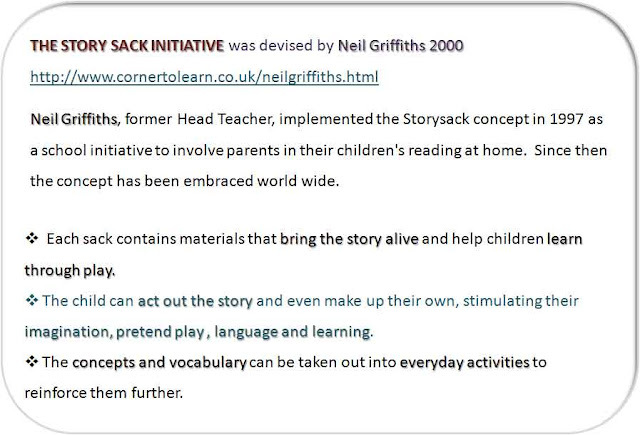 Story Bags were the answer and have become a worldwide phenomenon. 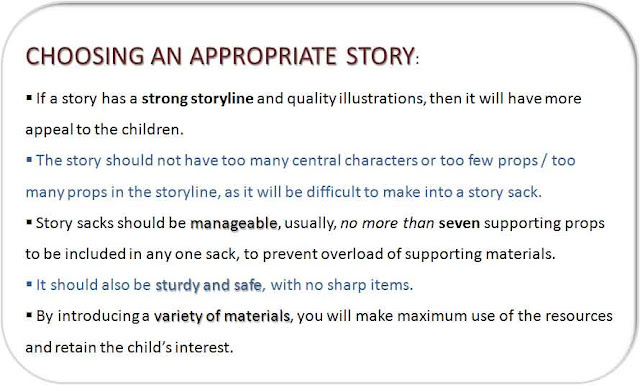 So what books are best for the story bag? 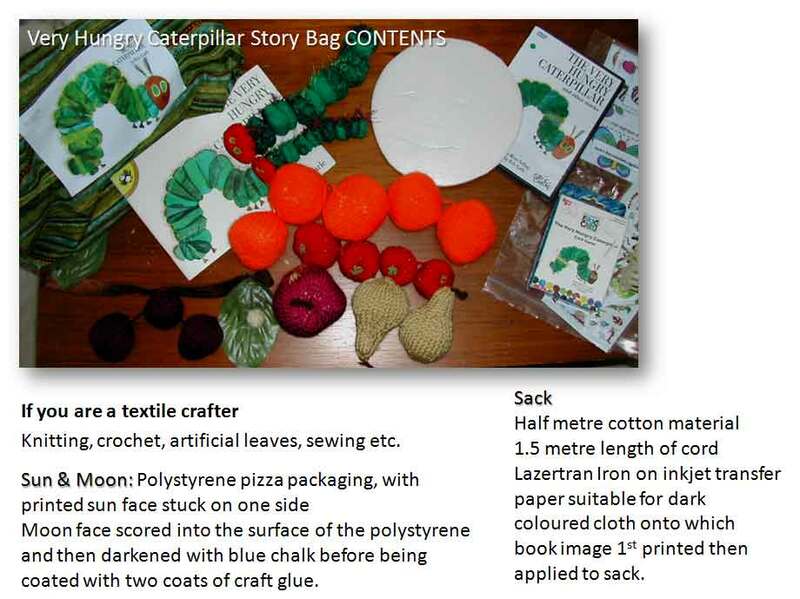 These story bags also help imaginative play, sequencing, speech and language skills. 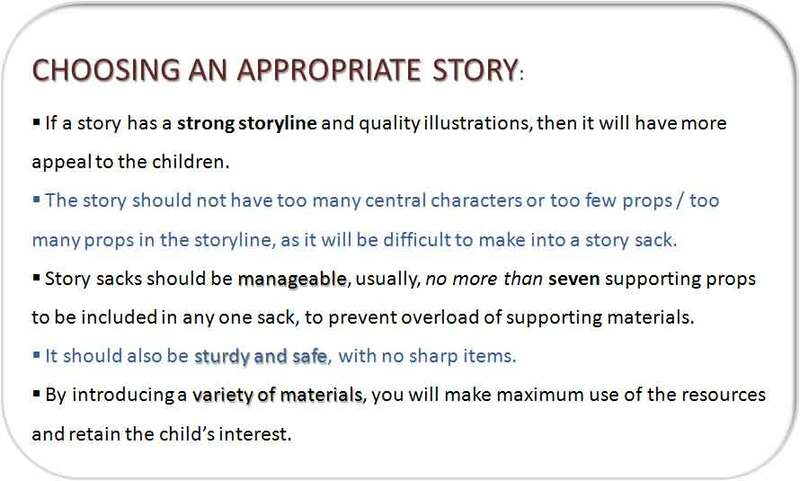 Would a storysack appeal to you? Sorry everyone, it seems when I have great intentions to get back to blogging, the weather, life, computer glitches or illness seem to scupper my efforts. I'm relieved I am still able to knit, quietly, in front of the TV for the moment, at least. I have planned a post on story bags ~ Ever heard of them? ~ which I hope to write sometime soon. In the meantime, there's lots of posts here, flash fiction, haiku, poetry and romance as well as Author interviews, so do stay and enjoy a cuppa while you browse. Thanks everyone for your continued support, following and lovely comments.